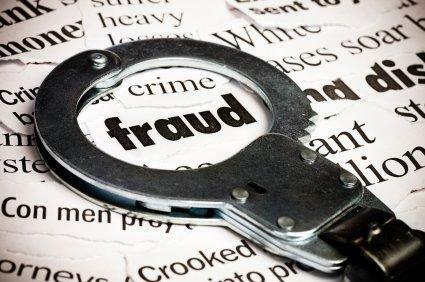 The department says on it has uncovered a cheque fraud syndicate targeting schools in the Alfred Nzo Municipality. The Eastern Cape department of education said on Thursday it had uncovered a cheque fraud syndicate targeting schools in the Alfred Nzo Municipality this week. Victims of the syndicate uncovered by the department, so far include two schools in Mbizana and one in Flagstaff with the potential loss of more than R320,000. Department spokesperson Mali Mtima said the perpetrators were skillfully cloning school chequebooks. He said they had been found to be conducting cell phone sim-card swaps of principals and school governing body finance committee members. “The consequence of these illegal cell phone sim card swaps is that criminals are able to validate cheques when banks undertake confirmation of these transactions. These cheques are cashed in across the country and so far, the department has identified that this scheme is only targeting First National Bank and cash in has been done in the KwaZulu-Natal South Coast towns,” said Mtima. A further attempt to cash in at the FNB Sandton branch resulted in an arrest. The department commended the vigilance of the First National Bank and said it had committed to refunding most of the money stolen. Mtima urged all school governing bodies finance committees to be vigilant and continuously check their school bank balances to monitor alien transactions. “The department sends a stern warning to these criminals as systems have been established with law enforcement agencies to track them down and bring to justice these criminals,” added Mtima. The head of the department, Themba Kojana, also urged South Africans to report these syndicates. “We urge all law-abiding citizens to co-operate with crime-busting agencies and report these criminal elements. All banks and businesses need to double check any cheque transactions. I urge school principals, SGB’s and business owners to exercise a high degree of caution and constant vigilance in expediting school related transactions”, said Kojana. He added that this criminality, if not speedily nipped in the bud, could disrupt normal teaching and learning in schools and compromise schools’ capacity to feed their learners.